From day one, we sold history not politics. Certain political ideologues don't want us telling the stories we do. Instead of challenging us directly on the history itself, they covertly went after reputations, careers and livelihoods. It gave a certain group of "professional journalists" far more attention than they deserved, mostly from the political fringes. Jobs were lost, names were slandered, and the mainstream media in Canada joined in on the attack for a few months in 2018. Apparently, using meme terms like "normie" and sharing stories of black African soldiers is "white supremacist". It didn't matter who we were, it didn't matter that we had been disavowed by alleged "neo-Nazis", we became public enemy number one. They forced a vast majority of the original founders and employees out of Fireforce Ventures. However, Fireforce Ventures is still around, and always will be to tell the stories it does. With this patch, show everyone that you stand with history and with our work here at Fireforce Ventures. 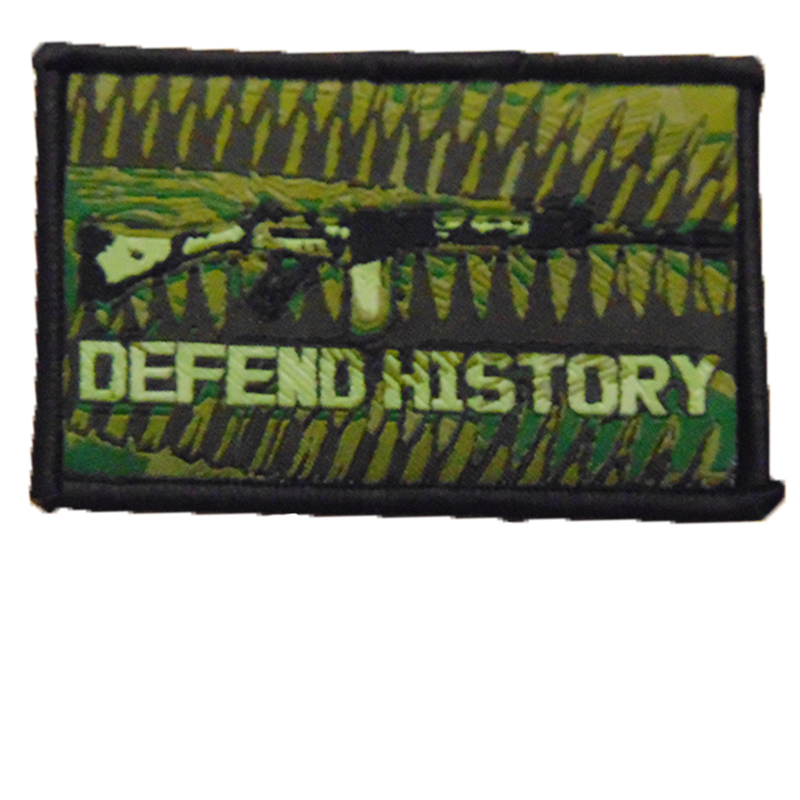 Patch features the bold words of "DEFEND HISTORY" emblazoned over a stylized 7.62 ammunition belt on Rhodesian Brushstroke. All prices are in Canadian Dollars (CAD). We ship internationally! Title says it all, we need to defend history! Awesome! nicely made. will go onto the bug out bag for sure!